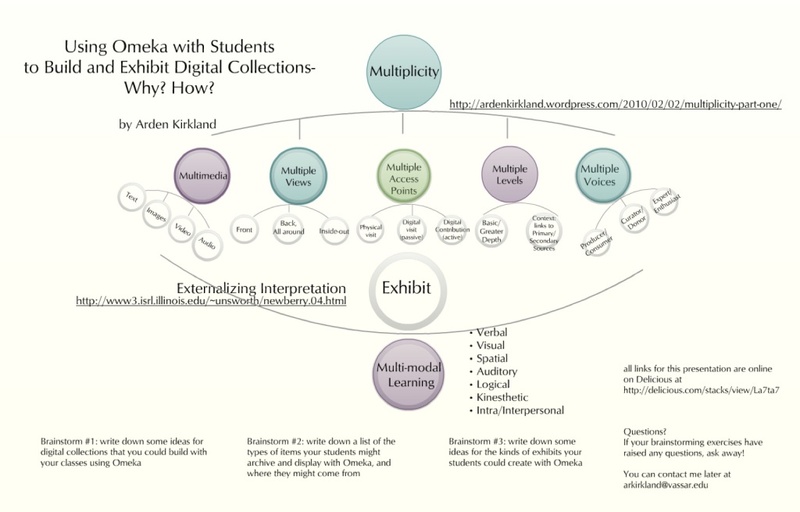 This series of three screencasts introduces some of the “why” and “how” of using Omeka as a platform for building digital collections with students. It was originally created to introduce other faculty and staff to Omeka, but I have since found it useful to share parts of the series directly with students, modeling some of the functionality of Omeka. It is broken into three modules with exercises at each break to encourage meta-cognition, inviting viewers to record some ideas for applying the content to their own projects.